Of all the things that go into running a successful business, establishing and maintaining a strong relationship with your customers is among the most important. After all, without them you wouldn’t be in business in the first place. So what’s the best way to keep your clientele happy and engaged with your brand? A customer relationship management (CRM) system is designed to help busy professionals stay on top of their book of business in a way that is easy, straightforward and efficient. But that’s really just the tip of the iceberg. The right CRM tool can help drive growth, improve the customer experience and so much more. 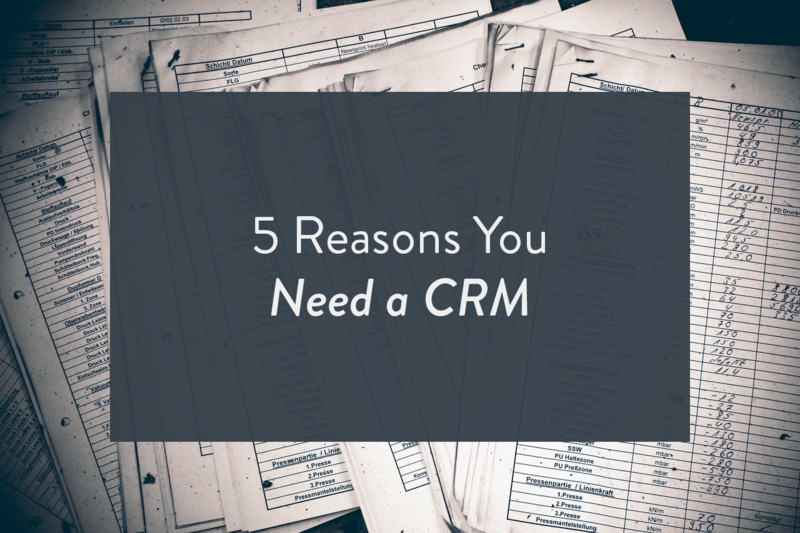 Still not convinced a CRM is worth the investment? Here are a few compelling benefits that might just convince you otherwise. You already know the importance of getting more prospects for your business. But gathering leads is only part of the process. It’s what you do with those leads that will make the difference between status quo and steady growth. A CRM can bridge the gap and provide a more seamless journey from interested party to paying customer. Keep track of leads in one centralized place and use analytics to identify cross-selling, up-selling and new market opportunities. Small business owners are all too familiar with the challenge of wearing multiple hats. Even mid-sized organizations struggle to make the most out of limited resources. Marketing automation and a robust CRM allow companies of any size to do more with less by letting technology do the heavy lifting. As a result, even businesses operating on a skeleton crew can deliver high-level service and remain competitive with organizations of every size. The best way to serve your customers is to understand exactly what their wants, needs, pain points and preferences are. But short of calling each client to pick their brain, this can seem like a monumental task. With a CRM, however, you can automatically gather information about your customers at a granular level and analyze that data to gain valuable insight that will help you make more intelligent, customer-centric business decisions. Track trends, assess behaviors and identify opportunities all with a few clicks of a button. Another way you can leverage the insight gained through a CRM is to create more personalized customer experiences. When you have a more accurate oversight into the behaviors and preferences of your clientele, you can tailor your messaging and improve your products or services so that they are more closely aligned with their needs and expectations. Better, more personalized service is the key to differentiating your brand and developing deeper, more meaningful connections with your customers. This promotes loyalty and increases the chances of word-of-mouth referrals. Develop and maintain best practices. Small businesses must find a way to maximize productivity and efficiency in order to keep costs down and operate as profitably as possible. A CRM can help you identify and implement best practices to ensure that every employee remains on the same page and that the business is run like a well-oiled machine. Having these best practices in place can also make it easier to onboard new employees, bringing them up to speed faster and providing them with the tools and information they need to do their jobs more effectively. As an added bonus, having a CRM in place can eliminate many of the mundane, day-to-day tasks that are bogging your employees down. Not only will this improve morale, but it will also free up your team to focus their time, effort and skills on more important tasks – like serving your customers, increasing sales and improving business operations. In other words, it’s a no-brainer.